When picking a new set of headphones, what features do you take into consideration? Do you look for comfort? This criterion bears a heavyweight for audiophiles who spend hours engrossed on their audio or video. Or do you look for stellar audio quality? Perhaps headphones with Bluetooth and wireless capabilities too. If you’re looking for excellent brands that don’t burn a hole in your pocket, check out our selection. Here are our top picks on the best headphones for under 100. OK, so you’ve decided to replace your old, worn-out headphones with new ones. But it’s been a while since you’ve looked for best brands. So it’s safe to say you’re a newbie in the market for a good pair of headphones. If you’re like us, you’d probably choose a solid headset that’s affordable; that is unless you’re willing to skip grocery shopping for about a week or a month. But then again, you’ll have to do the grunt work if you want to get the most bang (or sonic boom) for your buck. 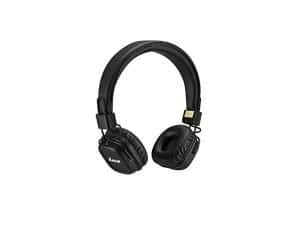 Looking for the best headphones that are reasonably priced? With so many options to choose from, we understand it can be tough to make a definite choice. Rather than sending you on a wild goose chase, we’ve put together a list of our top picks. So close your Amazon tabs at the moment and settle in for our selection of the best headphones for under 100. Yes, we picked 100 as the magic number. We took the liberty of setting the wallet limit and didn’t go overboard. But in doing so, we didn’t sacrifice quality in our picks. Hopefully ,you’ll find what you like. If you’re looking for a terrific blend of balanced sound output and classic style, you’ll love Marshall Major II Bluetooth On-Ear Headphones. Marshall is a popular manufacturer of guitar amps. With these headphones, you can expect a touch of rock ’n roll. Why should you pick the Marshall headset? This impressive product offers solid performance and maximum portability. 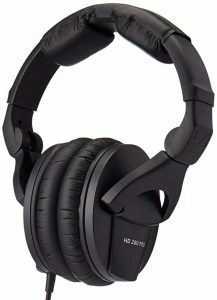 More importantly, it delivers a wide range of the sound spectrum, complete with an imposing mid-range and low-end sound. At less than $100, the Grado Prestige Series delivers more bang and boom for your buck. You get the best sound quality and overall fidelity at a price point that doesn’t burn a hole through your pockets. What to expect with this one? 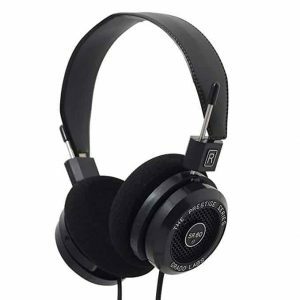 Grado headphones are known for their retro look, backed by premium-quality construction and excellent value for money. Its vivid and clear sound quality will make you say you got your money’s worth. What you get with the Sennheiser HD 280 Pro is a dynamic, closed-ear design that provides a warm, natural sound quality. The earcups are padded, so there’s less sound leakage. Why should you buy it? For less than 100 clams, you get rugged, durable construction and crystal clear sound, which is a favorite feature for many radio stations and recording studios. Don’t let the awesome aesthetics fool you; these headphones can take a beating. This set can last you for many years; truly a workhorse. If forceful bass and punchy power is what you’re looking for, get the Audio Technica ATH-M40X headphones. It’s the weapon of choice for many hip-hop and electronic music lovers. With its robust low-end sound, it’s truly awesome. Beat lovers will also love its durable over-ear design and smooth, natural sound quality. When you need earbuds while you break a sweat, get the Optoma NuForce BE Sport3 headphones. Runners, bikers, and gym rats love it for its simple, sweat-resistant design with around 10 hours of rechargeable battery life. This pair will carry you through your workouts. But before we go into our top picks on the best headphones for under 100, we want to share a thing or two on what we learned about headphones. This brings us to the question: what do you look for in a solid pair of headphones? 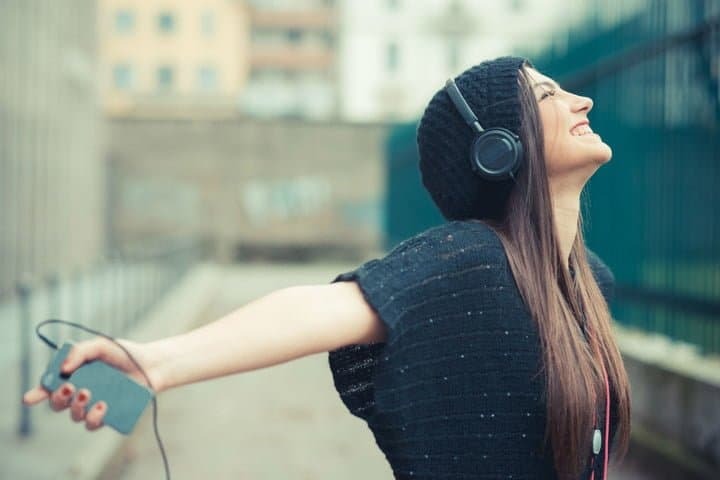 After careful research and in-depth analysis, we have identified three key factors that consumers consider before buying a good pair of headphones. We learned that audio performance is the most important component that consumers look into. From clean music to aggressive beats, a wise consumer would go for headphones that don’t relinquish audio quality. Bassheads would want the thumping power while other music maniacs want the crisp sound to come through. Another consideration is the extra features. For added convenience, having Bluetooth and wireless capabilities is something that many consumers appreciate. Perhaps an audio suite too; one that allows the user to adjust the tone, bass, and overall sound quality. The third and last consideration is the design of the headphones. Comfort and functionality may vary with each design. What resonates more, however, is the comfort. This is especially true among audiophiles who look to wear their headphones over prolonged hours. Whether or not the clamping pressure results in ear inflammation or irritation is a question best determined by the comfort of the design that these headphones provide. On the matter of design, there are three main types of headphones. First, are the over-ear headphones. Their main distinct feature are the earcups that completely cover the ears. And because the ears are completely wrapped, this type of headphones ensures high-quality audio output with zero to minimal sound leakage. Their downside: they tend to by bulky and heavy. The second type of design is the on-ear model. The earcups are a bit smaller compared to the over-ear design. As a result, the earcups tend to sit on the ears rather than completely cover them; hence, the sound leakage. The third design is the in-ear model. Instead of earcups, you get earbuds. You simply insert them along the ear opening. The good thing about this design is that it’s lighter and portable. They’re a good option for audiophiles who are on-the-go. Perfect for jogging, biking, or hiking. Want more for less? Check out our selection on the best headphones for under 100. All our picks are value-packed. We made sure the sound quality, aesthetics, durability, and overall functionality are top-notch. So to avoid confusion between our picks and your choices, close your Amazon windows and tabs now.